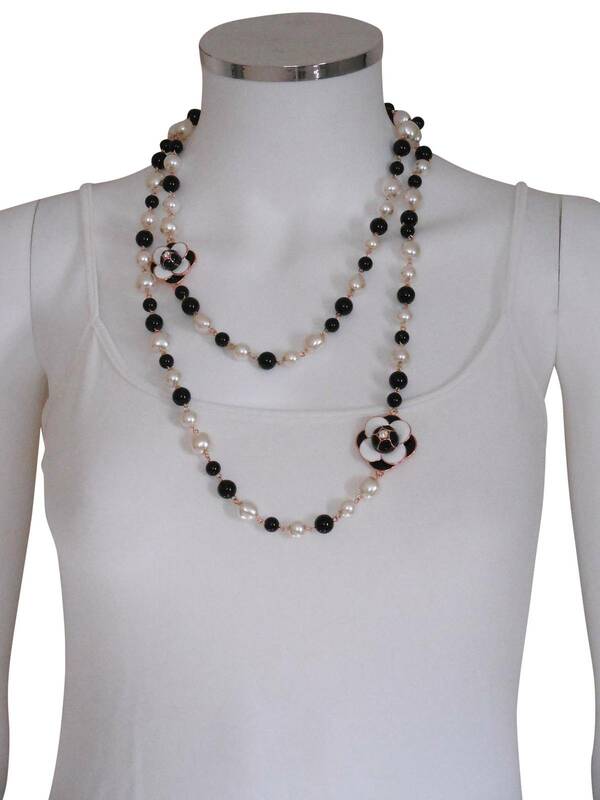 Black and mother of pearl pearls form this over the head style necklace. 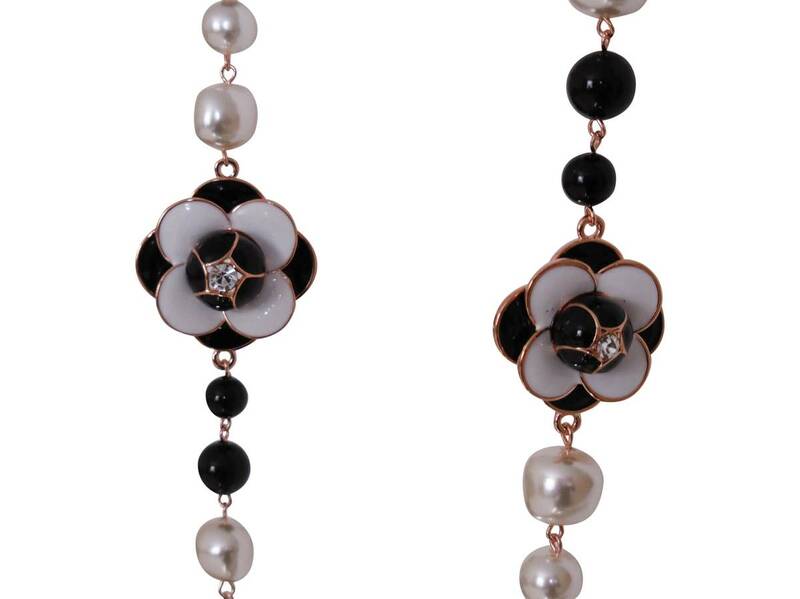 Two black and white enamel flowers to necklace each with a center high standard Swarovski rhinestone. Gold plated. 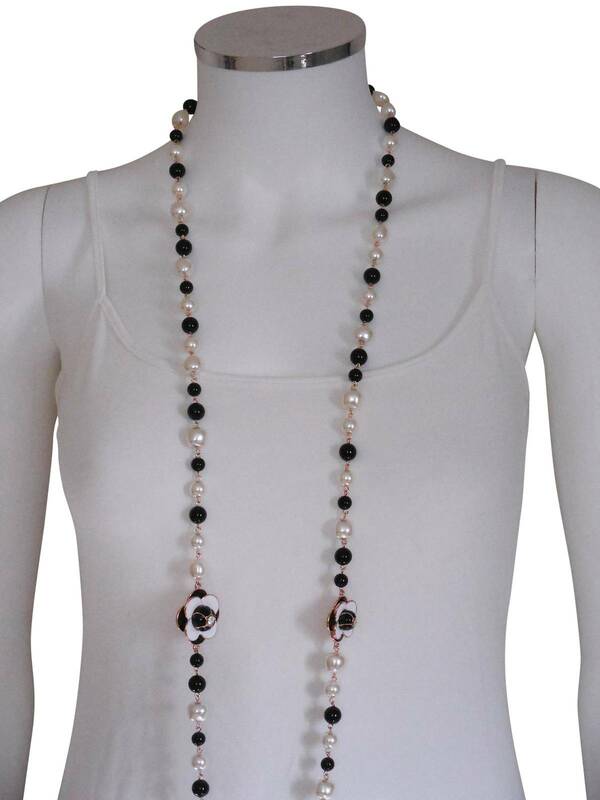 Wear singular or double up.